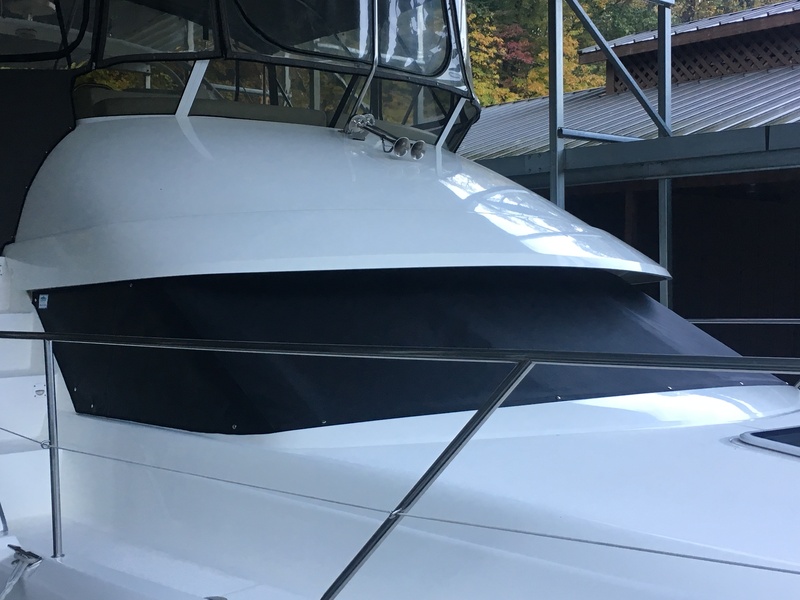 Concord Custom Canvas offers windshield covers fabricated from screen or from canvas. Screen is available in several colors and shade factors. The shade factor determines the amount of light entering the windshield and affects visibility (and privacy). Canvas provides no visibility but comes in a large range of colors. Windshield covers are usually attached with snaps or twist lock fasteners. 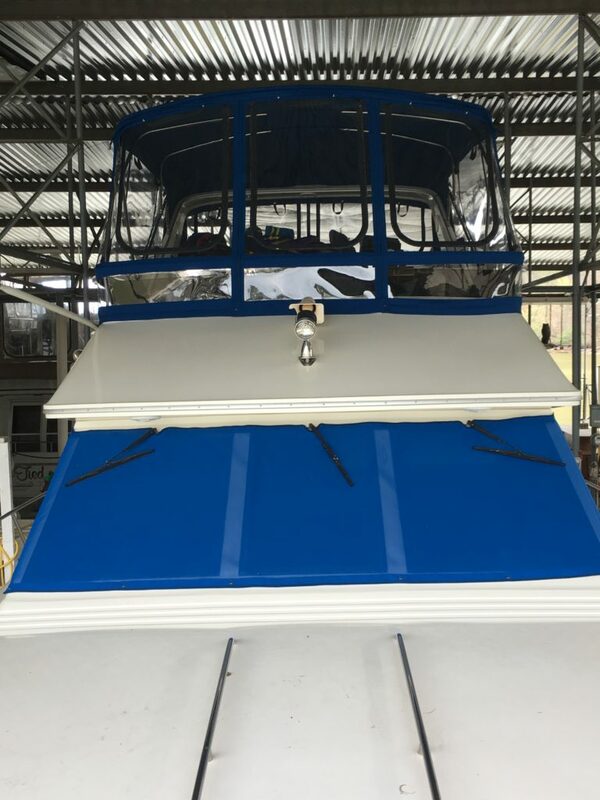 These covers can easily be rolled up and stowed when the boat is in use. 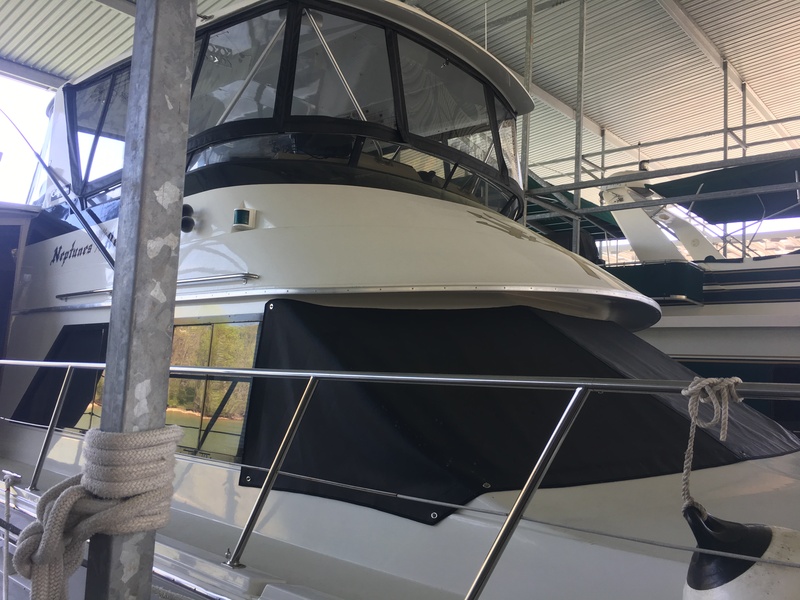 Please Contact Us to discuss a windshield cover for your boat.